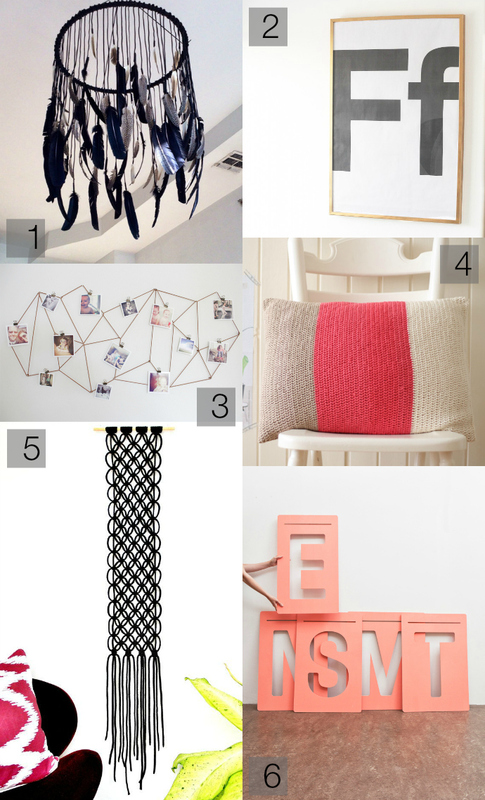 In keeping with my recent passionate love affair with crafts here are a few diy skills from the interwebs that I'm seriously coveting. I actually attempted my own renditions of number 2 and number 4 which I'm sure will work their way onto the blog later on this week. I'm also looking for some custom screen print / t shirt design ideas, come across any good ones lately? Does spring turn anyone else into a crazed martha stewart wannabe? ?